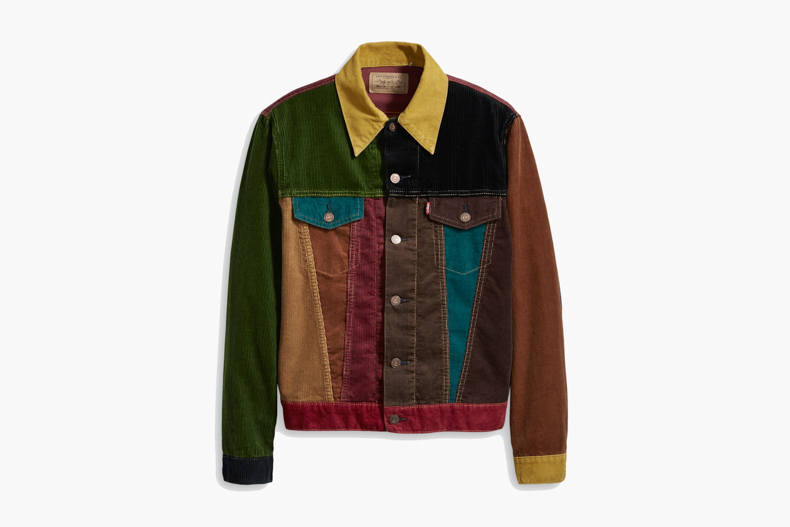 Levi’s Vintage Clothing A/W 2018: Classic Americana with Jamaican Flair. Levi’s Vintage Clothing travel to Jamaica to find inspiration for their Fall/Winter 2018 collection. Levi’s is quintessentially America. But what happens when a different place and people adopt this staple of American culture? Levi’s Vintage Clothing answers this question with their Autumn/Winter 2018 collection. The collection draws its inspiration from the 1978 Jamaican film Rockers, and the colourful dancehall and reggae styles inspired by the Jamaican rockers of that era. During the 1950s, Jamaicans travelled to the U.S. they would pick up records as well as a good deal of America’s latest style and fashion. With the 60s giving way to the 70s, ska and rocksteady music became dancehall and reggae, a distinct Jamaican clothing style emerged that blended workwear, sportswear, and tailored clothing. The result is a colourful blend of jeans and Truckers, the ’60s- era knit tees and shirts, Sta-Prest trousers, patterned knitwear, and casual jackets. The highlight of this collection has to be the Levi’s Vintage Type III Trucker jacket, made entirely of corduroy. The cord fabric was sourced from Germany’s premium cord manufacturer Kindermann and the jacket itself is made up of no less than 11 different coloured sections. The colourways reflect heavily on the ‘60s and ‘70s-era earth tones with rust, gold, and forest green featuring prominently, alongside the classic workwear shades of indigo and dark blue. The Levi’s Vintage Clothing Autumn/Winter collection for 2018 is now available on levi.com and selected Levi’s stores.